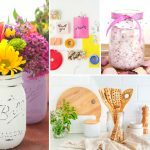 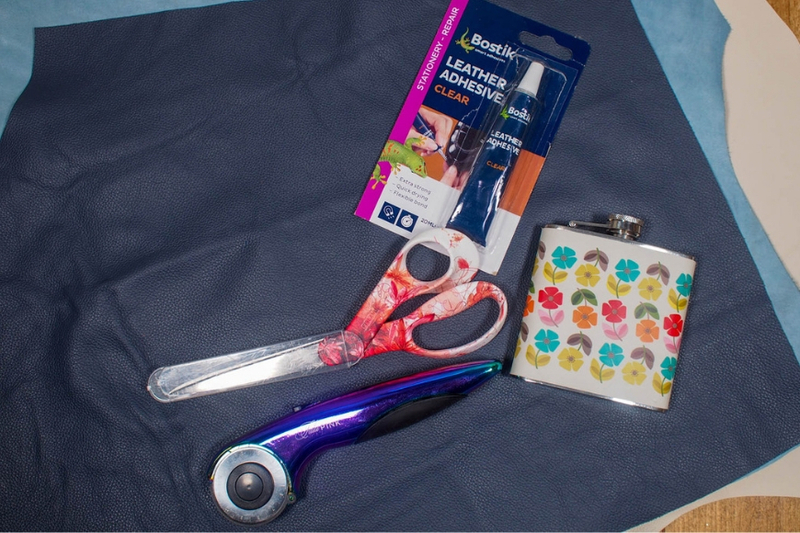 I bought a floral hip flask in an online sale knowing that there was something I could do with it, but I wasn’t sure what until I was sorting through my study and came across my leather scraps. 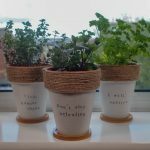 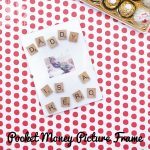 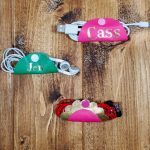 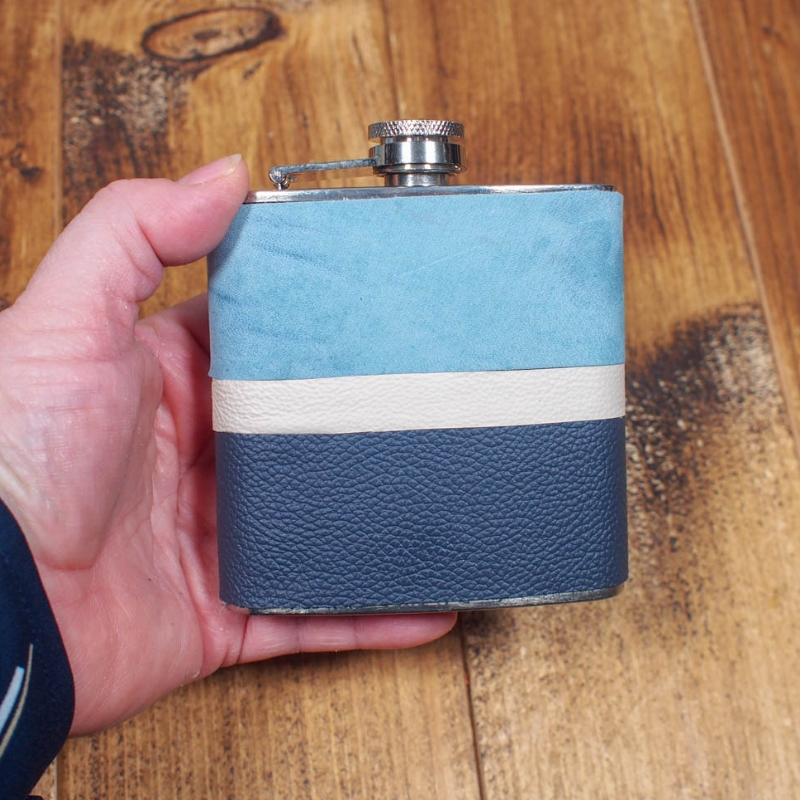 Et voila a fabulous guy gift personalised for the man in your life. 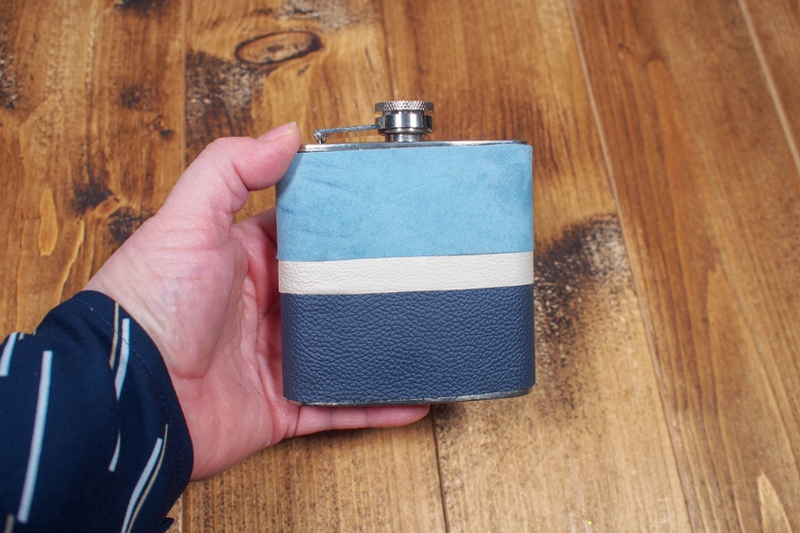 My fella has a thing for blue and I had the perfect colours and combination of blue and cream leather and also some pale blue suede. 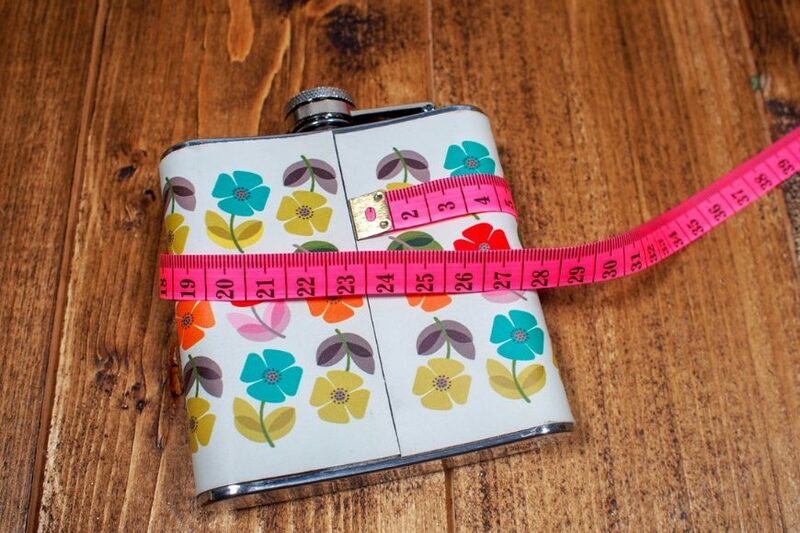 Measure the diameter of your hip flask and height to plan out the position of your leather. 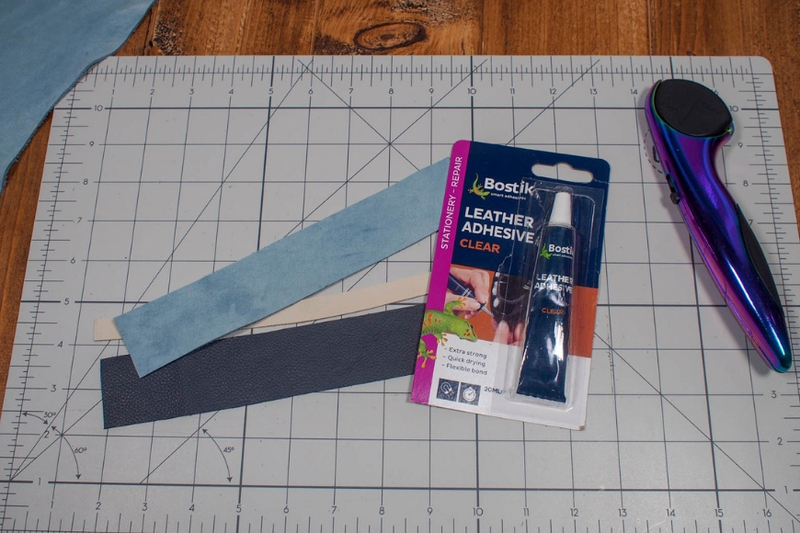 I used paper to draw it out on and plan my measurements before cutting the leather. 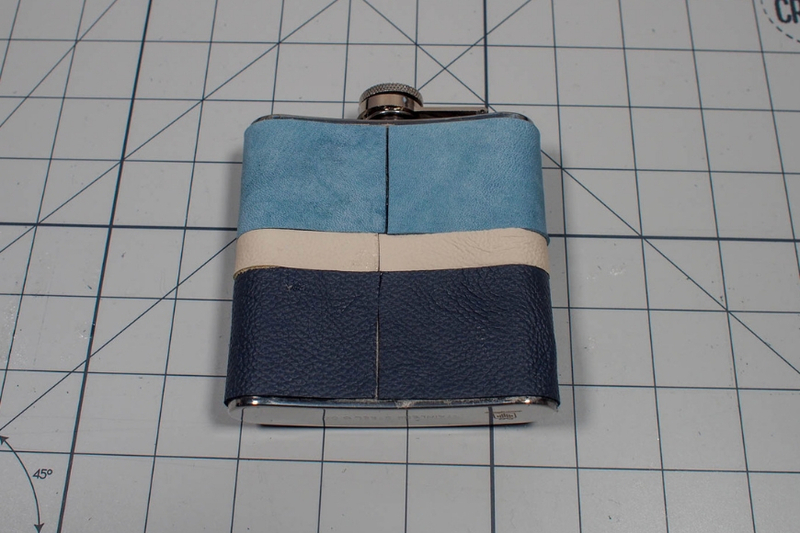 Then cut the leather into strips and place them on the flask to ensure that they fit. 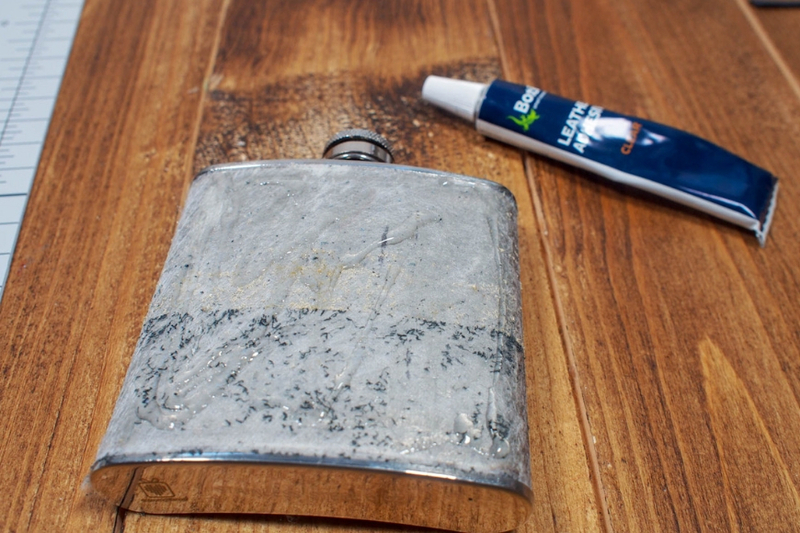 Cover the front of the flask with Bostik Leather glue and allow to rest for 5 minutes. 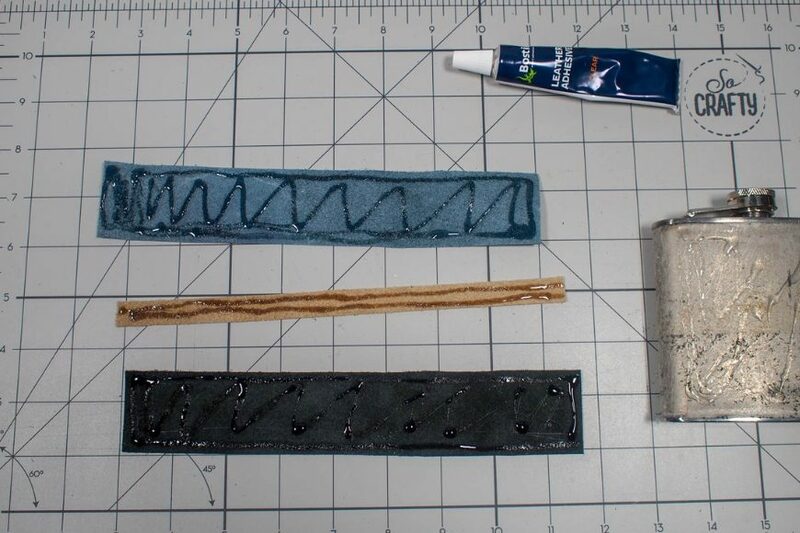 While coating the back of the leather with leather glue. 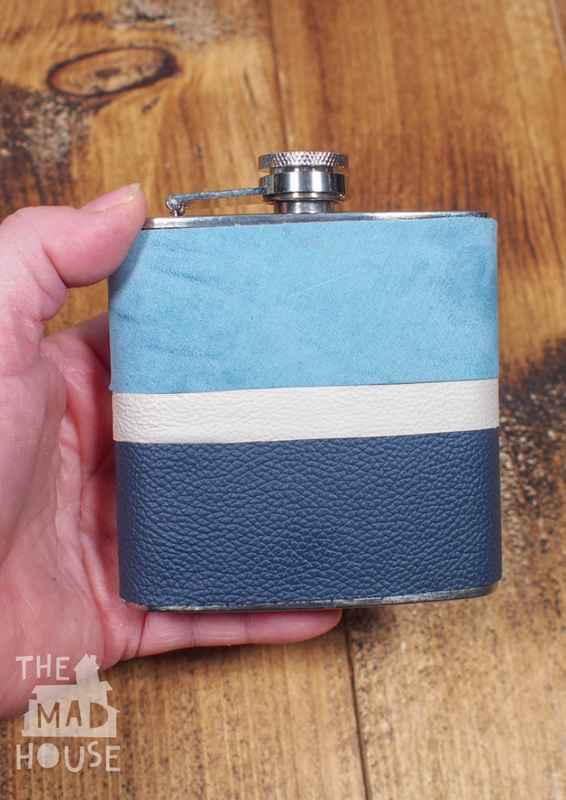 Place the front of the flask on to the leather and then add glue to the back of the flap before wrapping the leather on to the back. 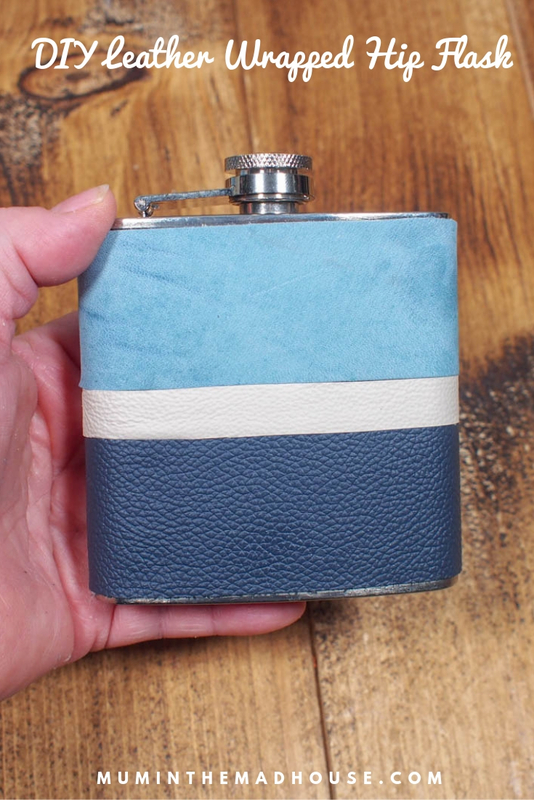 I am delighted at how it turned out and now I am on the lookout for other things I can wrap in leather and for more inexpensive hip flasks to customise.